Boston Trauma Centre director Bessell van der Kolk believes that traumatic events affect people’s bodies as much as their brains. He explained to Lynne Malcolm from the ABC’s “All in the Mind” program, why self-awareness is at the centre of his unconventional approach to therapy. ‘The whole issue of self-regulation, calming your brain down and helping your brain to be focused in the present is central,’ he says. ‘The key brain area that is necessary to be online to get over your trauma is your capacity to observe yourself and to notice yourself. Click the play button above to hear this interview with Bessel van der Kolk. Agency starts with what scientists call interoception, our awareness of our subtle sensory, body-based feelings: the greater that awareness, the greater our potential to control our lives. Knowing what we feel is the first step to knowing why we feel that way. If we are aware of the constant changes in our inner and outer environment, we can mobilize to manage them. We've known that psychological trauma fragments the mind. 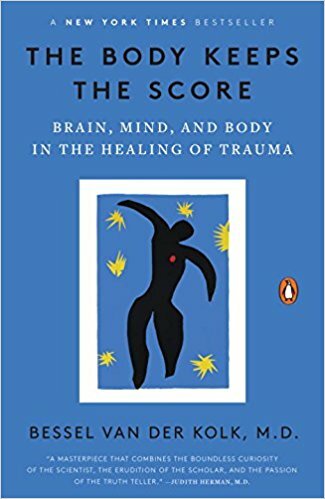 Here we see not only how psychological trauma also breaks connections within the brain, but also between mind and body, and learn about the exciting new approaches that allow people with the severest forms of trauma to put all the parts back together again. We're looking forward to Bessel's 2019 workshops but in the meantime, he's currently online at wisemind.com, along with other renowned figures such as Janina Fisher and Pat Ogden. Bessel offers his ground-breaking insights into PTSD Relief Therapy.